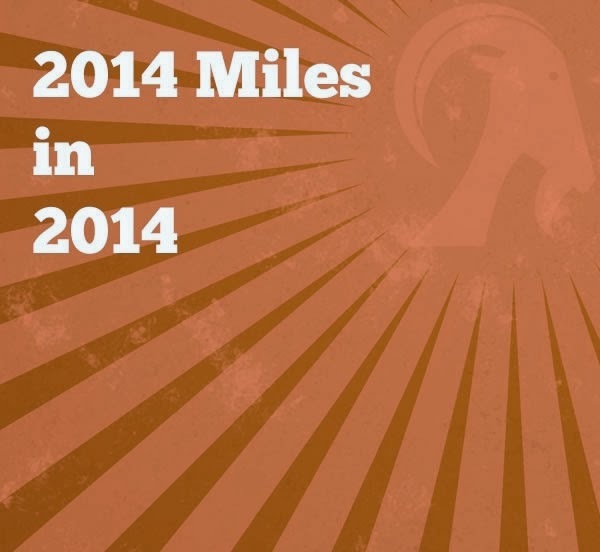 I decided one of my challenges for this year would be to try and run 1057 miles for my running buddy Haddie in Hawaii and my second challenge was to cover 2014 miles in 2014 in any self-propelled way! (Obviously any miles covered in motor vehicles are strictly banned!). Only 1863.79 miles to go! Although I haven't quite managed the 168 miles for the 2014 challenge I am pleased with this start considering I haven't done any cycling yet - I am a total fair weather cyclist! Once the lighter nights and better weather arrives I can make up the difference on the bike fairly easily if I can maintain this level of mileage with a mix of swimming, running, walking and hiking! However, I am delighted to have smashed my target for Haddie by some 49 miles! She is such an inspiration to me and seeing her determination in all she does makes me more determined in all I do! I am so lucky to be matched with such a delightful little bundle of joy! Today has been a rest day after my sports massage last night! Part of me is delighted as the weather out there is awful - sleet mixed with a little snow and it is very windy and cold, but part of me is getting itchy feet because I haven't run since Wednesday! After yesterdays epic run it was a relief to have a rest day today! 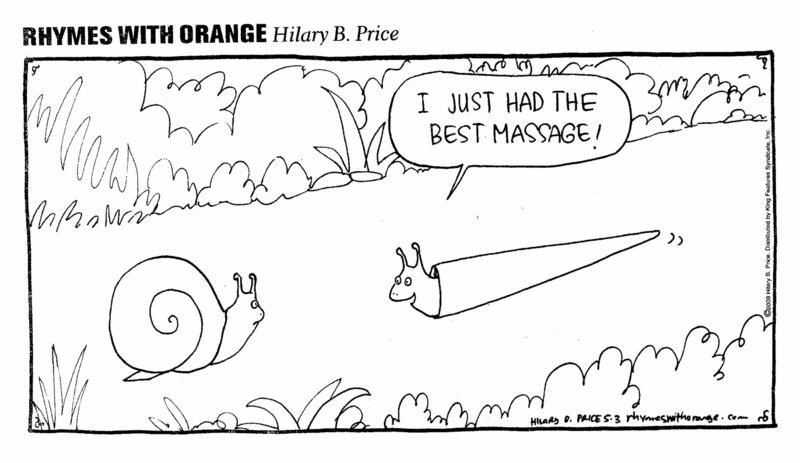 It was even better that I had a sports massage booked! During the massage I was wondering why on earth I would be paying someone to put me through such discomfort but it was all worth it in the end as I now feel as if I have been given a new pair of legs! Bring on the next cycle of training!! LSR - I DID IT! I had a 18 mile run to fit in today as due to a very busy weekend I won't have time to do it on its proper day! After finishing work at 3:30pm I drove straight home, had a very quick peanut butter sandwich to energise me, got changed into my running gear, packed my gels and drinks and had left the house by 4pm - not bad going! I didn't really have a route in mind but I knew I would be restricted to lit areas when the light faded so for the first 6 miles I headed out on country roads before heading back into the residential areas in time for the darkness to descend! At 6 miles I had a gel and was feeling fine. At 10 miles I had a mini mars bar and a couple of jelly babies. All was still going well until at about 12 miles I got really strong stomach pains. My stomach griped and gurgled and I knew exactly what was coming! Luckily for me (and anyone nearby!) I was near Morrison's so was able to dash in to use the conveniences! I tried to look inconspicuous so as not to get thrown out for not shopping! After this near disaster my stomach settled down and felt fine but I didn't dare risk any more food or gels even though by 14 miles I felt I needed some sustenance! I made it home after doing 17.5 miles! On another day I would have gone round the block to make it up to the 18 but there was no way I could persuade my legs to keep running another half mile when the house was right there! After a day at work and a bit of a dodgy stomach I was delighted to have run as far as I did albeit extremely slowly. My pace was a pathetic average 10:43 minute mile, but to be fair to myself I haven't had my full rest days since my last LSR! It's all good mental attitude training! When the going gets tough the tough keep going!! I think for future long runs I will stick to gels and see what happens. My stomach definitely didn't appreciate the mars bar and jelly babies mix tonight - or was it the peanut butter sandwich?! I got up this morning and did my usual housewifey chores before settling down to check my e-mails with a coffee in hand! This morning I was delighted to have received an e-mail with my race number for Barcelona Half Marathon! Less then 3 weeks to go now and this makes it really real!!! After getting over the excitement of receiving this, I went running with the tri club for my usual Tuesday night torture hour! I always feel really nervous before I go as I never know whether it will be full of the super fast ironman triathletes or if I will be joined by other "wanna-be triathletes!". Thankfully for me there was a nice mix of both speedy types and slower ones so I had company near the back of the pack! Thankfully the rain had stopped and it turned out to be a lovely clear cold evening. I think I put too many layers on as I was warm whilst running but you can never tell day to day at this time of year! We did a mile warm-up, before stretching and doing dynamic moves before getting to the main part of the session! Tonight's focus was hills! YIKES! I always thought I was quite good at "plodding" up hills but some of these guys sprinted to the top faster than I can sprint on the flat! Something for me to work towards!! All in all a thoroughly enjoyable and very sociable run and we did approximately 4 miles. I hope my legs are OK tomorrow as I have rearranged my training plan to fit a long run in as I am busy at the weekend! Which means it's getting closer! Actually it is only 67 days away which is a scary thought! Being a creature of habit, today being Monday equals cross training in the form of swimming with the Tri Club! The water felt exceptionally cold today when I first got in therefore no opportunity to stand and chat without freezing half to death! I was straight in with 6 lengths to warm-up before starting with the dreaded drills! One day I will surprise you all and actually enjoy this part! We seemed to do a lot of drills this evening including kicks, fists, catch-ups, zipper, doggy, sculling and then breathing all on one side and then all on the other to practice open water skills! THEN (as if all these drills weren't enough!) we did a critical swim speed swim to see if we have improved over the last month since the last one. It would seem I have stayed the same - At least that's better than getting slower! I swam 0.99 miles or 1600 metres or 64 lengths whichever you think sounds better! Back to running tomorrow with a speed session with the Tri Club! Fingers crossed this rain finally stops or it might turn into an open-water swim session through the streets instead! The plan stated a 3 miles recovery run for today to get rid of the lactic acid from yesterdays long run and to get used to running on tired legs and blah, blah, blah,blah! I got up this morning with slight trepidation on how my legs would feel about feeling the ground beneath them and was pleasantly surprised that I had no aches or pains ... I could even manage the stairs unaided! It looked like I was over the first hurdle of tired muscles but felt despair when I looked out the window ... it was blowing a gale and the rain was sheeting down sideways! I wasn't going to be put off and after a breakfast of coffee and a banana I was ready for the off! As this was a recovery run I wasn't interested in my pace and was just happy to do the miles. I couldn't believe how good my legs felt when I started running and despite the rain, wind and deep puddles I had to splash through I thoroughly enjoyed this run! I arrived home looking like a drowned rat, wet through to my knickers but I felt strangely invigorated and energised!! 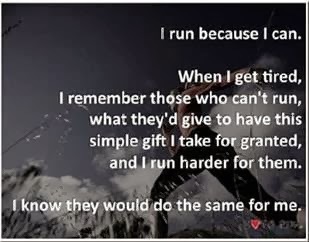 I wish I felt like this after all my runs! A stretch and a shower followed before uploading my run to Garmin. I had no idea of how fast or slow I had run and was amazed to see I had run 3.52 miles at an average pace of 9:12 minute miles! I struggle to run this pace when I am REALLY trying then the day after a 17 mile run when I'm supposed to be going slow it happens! That's sods law for you! Looking forward to more energising runs next week! Bring it on! I managed a 17 mile run this morning which I found extremely difficult! the weather forecast was horrendous from midday onwards and it lasts all weekend apparently so I decided to bite the bullet and GO! I left the house at 9.15am and it was a lovely morning! Not too cold and no rain although slightly windy! I had my route sorted in my head and I set off armed with gels and several tiny Mars Bars from the Christmas box of Celebrations! I have it in my head that I need to increase the speed I run my long runs instead of plodding and desperately wanted to see if I could keep the pace today between 9 min miles and 9:30 min miles! I managed 9:23, 9:26, 9:33, 9:50, 9:14 and then it all went horribly wrong or I could blame my Garmin! At the start of mile 6 I momentarily stopped as I was struggling to get an energy gel out my bumbag and get it opened. I didn't stop for long but my pace dropped considerably when I started running again to 10:57 minute miles. I told myself not to worry that the stop had caused the dip in pace and I fully expected when mile 7 clicked over I would be back on track! As far as I was concerned my pace hadn't slowed but my Garmin begged to differ and however hard I pushed I could not get my pace back down to below10 minute miles! Perhaps a sub 4 hour marathon is a pie in the sky idea after all! Although I was a little deflated due to my performance I enjoyed the run (except the last 2 miles when I felt like crying or dying!) and saw two friends en-route! The first one was at around the 5 mile mark and she was out on a bike ride (a much more sensible idea!) and the second one was at around the 9 mile mark. She was running in the opposite direction to me and I thought she was probably doing my route in reverse but she only did 13 miles so there must be a short cut I am not aware of! Just a hello and a quick wave was shared - none of us were risking our stats for a girly chat! About a mile from home it started to drizzle and the sky went very very dark! I tried to pick up the pace - unsuccessfully! I was so lucky ... just as I staggered through the door the heavens opened and we had torrential rain and hail with severe gales! Phew! Good decision to go early even if my performance suffered because of it! In the end I ran 17.01 miles at an average pace of 10:22 minute miles! A long way off my target pace but I still have 10 weeks to get faster and perhaps to start taking the healthy living part of Marathon Training a little more seriously!! To date I am surviving marathon training, it's a pity the same can't be said for my washing machine! Another full load of extremely sweaty running clothes was a step too far for it and it has gone to that beautiful place in the sky the tip!! I must admit it started to grumble a couple of weeks ago and hinting it wasn't happy by making loud clunking noises! I ignored it and it got louder and louder and louder ... then died! RIP poor washing machine you have served me well! 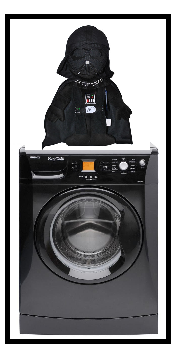 It has been replaced with a black washing machine who fancies itself as a Darth Vader impersonator sitting in the corner of the utility room! I hope Darth Vader can cope with all the sweat and grime I will throw at it!!! Happy Birthday I Run 4! Today is the official first birthday of the group "I run 4". I have been matched through this group with my gorgeous running Buddy Haddie since 20th December 2013, just 6 weeks ago but I feel as if she has always been part of my life and I see her as part of my family! 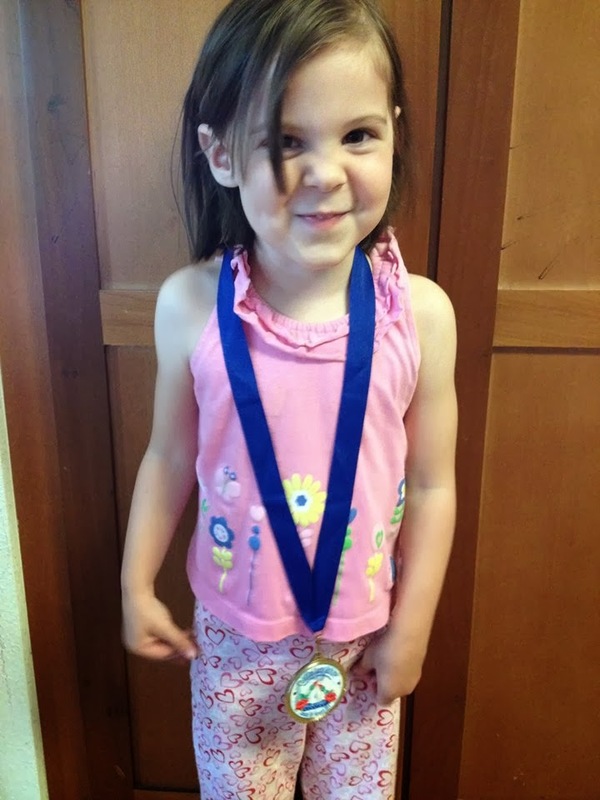 Coincidentally today Haddie received the package I sent her a couple of weeks ago containing the medal from our "first race" together! Although I sent it via airmail to Haddy in Hawaii I think by the length of time it took to make its way safely there it was actually sent pigeon post! Better late than never, and this smile makes it all worth while! Tonight the plan was for an "easy run" and I ran 4.60 miles at an average 9:13 minute mile pace which I dedicate to Haddie and IR4 on it's birthday! Tonight I had to go for a run as soon as I got home from school as my daughter and I had a meeting later in the evening about a Ski Trip she is going on. Luckily the rain had stopped and the wind had died down considerably since last night's run! I actually felt too hot at one stage with all my layers on, which is a first for a long time! which I was delighted with! I have found it hard to run at a faster pace after getting used to "plodding" since returning from injury, especially since I mainly run alone so I don't have anyone pushing me! After the 4 miles it was time for the dreaded strides! I did 4 sets of 30 seconds fast followed by 2 minutes slow and then jogged to cool down! All in all I ran a total of 6.71 miles at an average 9:13 minute mile pace! the torrential rain and strong wind! I must admit I did consider backing out but then thought since I haven't been back since the Christmas break if I didn't go I might never have the nerve to go again! I am really pleased I went, it gave me a little bit of confidence and for once I wasn't the one lagging at the back! Once we got running I forgot about the rain stinging my face and the wind whipping around my body and just concentrated on not disappearing into huge puddles in the dark! After a warm up we tried to find a slightly sheltered place (and failed) and did some dynamic drills which are going to turn me into an Olympic sprinter (in my dreams!) or at the very least a little bit of a faster runner than I am at the moment! After this we started our Fartlek Speed Training, where we sprinted for 2 lamp posts then recovered. As already mentioned I am usually left for standing at this point but thankfully this week the super fast ones must be wimps and not like the rain as they weren't there and there was a couple of new additions to the group who were slower than me! I am sure not being last actually encouraged me to run faster in a strange sort of way! After running lamp post to lamp post for a while we then played a game! We all ran in a single line at a steady pace and the person at the back had to sprint as fast as they could to get to the front, when that person got to the front the new back person then did the same and we continued like this until we nearly died! I really enjoyed this game as it meant that no one was left behind as when sprinting you could go at your own "fast" pace instead of trying to keep up with the very fast sprinters in the club! We ran a total of 3 very wet and windy miles before finishing off with the all important stretches - even though it was still wet, wet, wet!!! 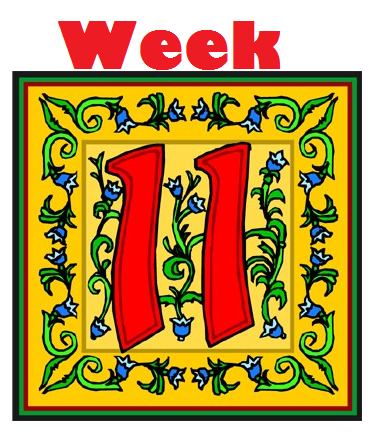 Week 10 and the energy levels are low! 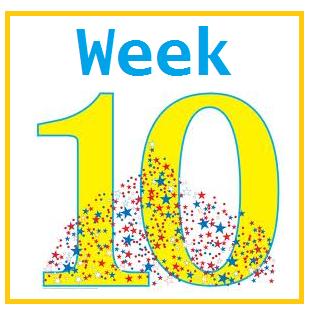 Week 10 marks the half way point in my marathon training plan and I am feeling particularly exhausted! I don't think my body can cope with partying hard AND marathon training! Tonight was cross training at the Tri Club Swimming session! I wasn't very enthusiastic about going as all I wanted to do was curl up and go to sleep, but after booking my place I didn't have an option! However once I got there and jumped into the cold water it had an immediate wake up effect! There were lots of drills and technique training tonight which I find hard but managed 60 lengths or 1500 metres or 0.93 miles.